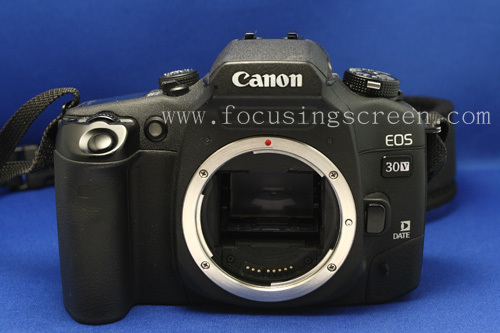 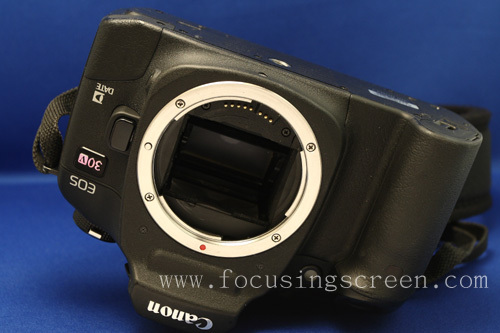 <p.1>This is Canon eos 30v film camera. 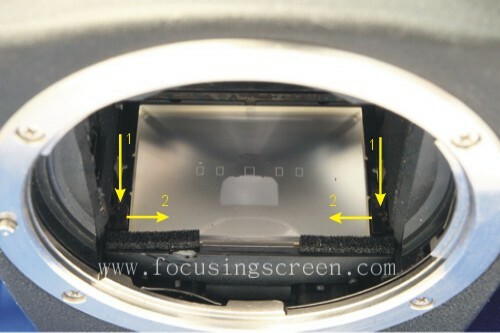 <p.3>You can see the structure of inside.red arrowhead is focusing screen's lock. 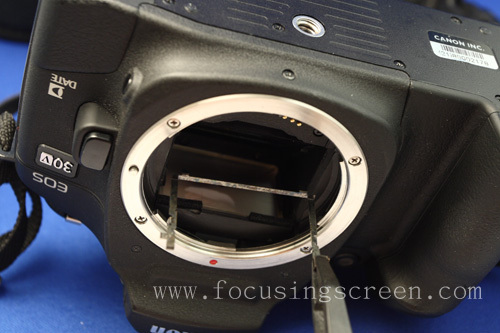 <p.4>First please get down to press after go toward outside to push can open the screen's spring lock. 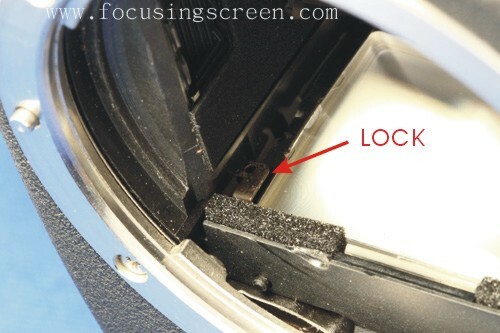 <p.5>Opening the spring lock can take out it. 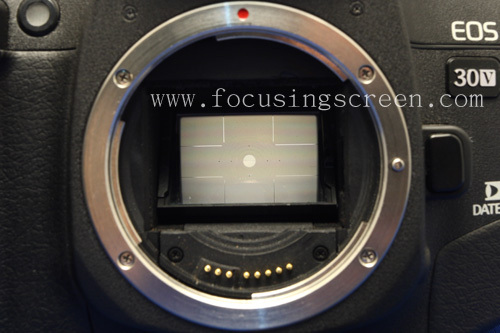 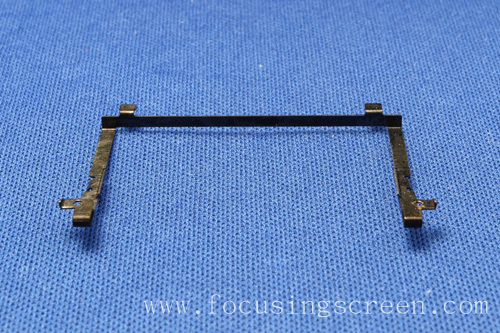 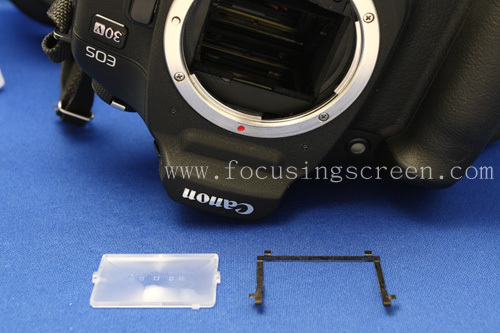 <p.8>This sample is split-image focusing screen for eos 30v camera. 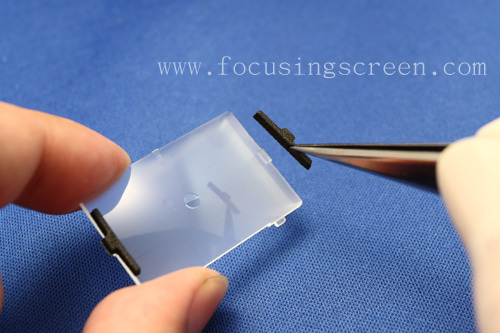 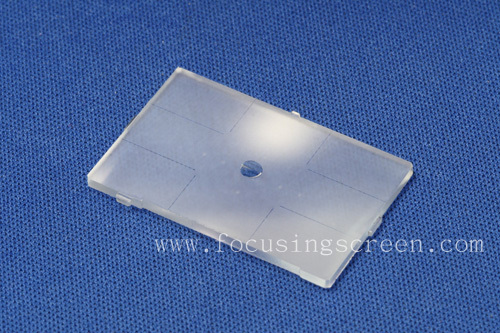 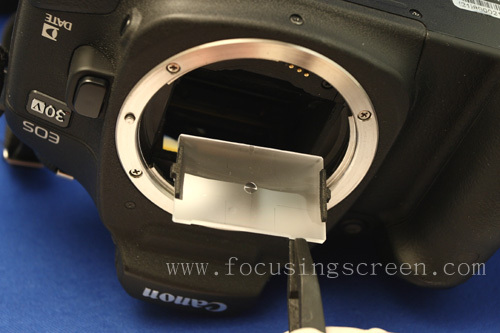 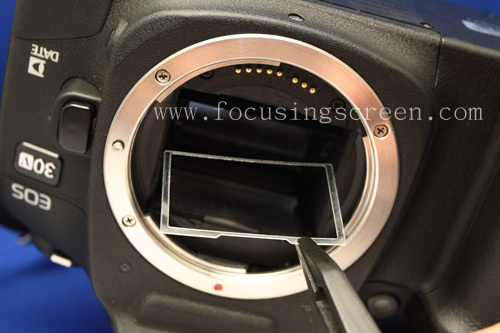 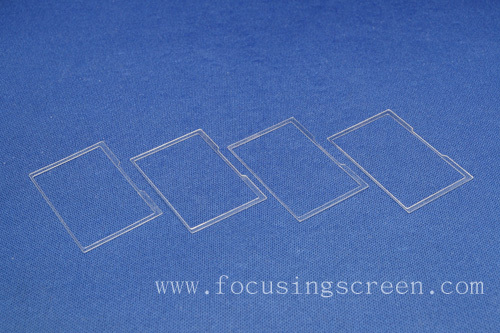 <p.9>Take out a bar of foam and please stick in the focusing screen edge side. 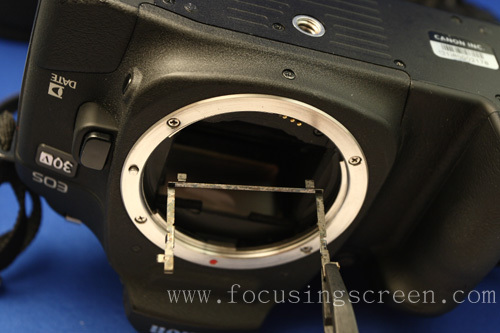 <p.13>Please putting the spring slice returns and lock.